The digital revolution has left a lingering mark on society which has far-reaching cultural, commercial and legal implications. Naturally, it has inspired a wealth of research from a variety of disciplines into different aspects of this multifaceted research area. I will consider one such trend in the literature: the morality of digital pirates, those who illegally copy and sometimes sell digital information. Two questions account for the bulk of music piracy research into predictive factors and deterrents: Who are the pirates? How can they be stopped? A variety of individual differences have been discovered, including demographics with the profile of pirates typically (but not universally) being young males. Piracy has also been noted as consistent with the theory of planned behaviour, not an impulsive act like most criminal activities (see d’Astous et al., 2005, for example, where having swapped music in the past exerts a strong influence on one’s intention to do so again). Additionally, attitudes are a significant predictor of piracy engagement (Taylor et al., 2009), where individuals holding an optimism bias engage in piracy as they believe themselves to be at lower risk than other populations (Nandedkar & Midha, 2012). Such findings may draw attention from health psychologists as informing suitable deterrent strategies. However, traditional approaches have focused on punitive measures, continuing to fail in making any real impact on piracy behaviours. Anti-piracy campaigns have largely failed to address the phenomenon of widespread engagement in music piracy, with Wikstrom (2011) suggesting that: ‘perhaps the single most enduring effect of these initiatives has been a negative impact on the reputation of the music industry’ (p.155). 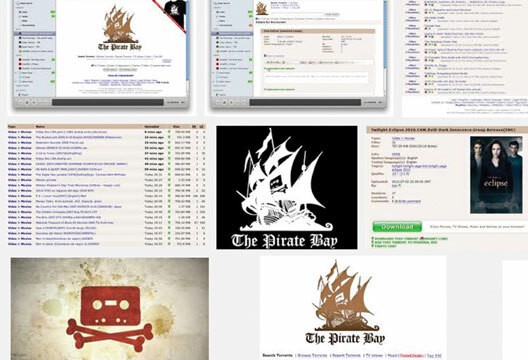 The UK government has expressed concern over the ‘morally unsustainable’ nature of piracy. Complications over piracy as theft (rather than copyright infringement) aside, there is difficulty in persuading pirates that their actions are wrong as those messages principally come from either government or industry. The recent expenses scandal in the UK is likely to impede any convincing arguments over ‘morally questionable’ behaviour from the government, and increased awareness over the exploitative practices of the music industry will similarly prove to weaken their efforts. Are the government aiming their cannons at the wrong target? The research is inconclusive. While no link between moral reasoning and piracy has been found (see Jacobs et al., 2012, for example), associations demonstrating pirates as less ethical have also been found (Gupta et al., 2004). No research has depicted pirates as morally superior. Kini et al. (2004) observed significant differences in the moral intensity of US students and Thai students, arguing that Thai students’ comparatively low moral reasoning may account for their higher rates of software piracy. Related to ethics is religion, with Al-Rafee and Rouibah (2009) conducting an experiment emphasising different aspects of piracy in developing Arabic and Middle Eastern countries. Here, ‘intention to pirate’ scores dropped significantly after receiving information depicting piracy as immoral from a religious point of view. Does it therefore follow that moral arguments could be used as a deterrent? Chiou et al. (2005) suggest that a moral focus could be the best approach to tackling the issue, not confusing legal messages or invasive technological advancements. Sound in principle, this suggestion does not take into account the sources of such messages (see above) or what Albert Bandura (1991) calls ‘moral disengagement’. As Batson et al. (2002) concluded, ‘what may look like motivation to appear moral (moral integrity) often is not. It is instead motivation to appear moral yet, if possible, avoid the cost of actually being moral’ (p.339). a victim, (d) a condemnation of condemners, and (e) an appeal to higher loyalties. Use of these techniques allows criminals to convince themselves that their behaviour is acceptable, regardless of laws or norms that conflict with such behaviours. Drawing both from interviews and ethnographic observation of forum data, Holt and Copes (2010) noted that the most common neutralisation technique employed by pirates was denial of injury, where pirates appeased their behaviours by illustrating the little harm their piracy behaviours cause, remarking on how it in fact helps musicians. This finding was corroborated by Hinduja (2012) and Moore and McMullan (2009), whose sample additionally indicated support for at least one of six neutralisation techniques. While support for the theory is present elsewhere (Siponen et al., 2012, for example), perhaps the most convincing conclusions to be drawn on the topic come from Yu’s (2012) mixed-methods approach. This collectively exposed techniques of neutralisation as accounting for almost 75 per cent of the variation on viewing piracy as justifiable. Whilst findings demonstrated that piracy is partly influenced by lower moral judgments, this was found to stem from not perceiving piracy as a serious crime. Pirates were not found to be morally inferior overall (when considering other crimes). Yu explains: ‘This corresponds to the theory of neutralisation in that the theory argues that criminals are not totally immoral’ (p.374). For techniques of neutralisation and rationalisation to be truly applicable, it is first necessary for the individual to believe that there is something wrong with their behaviour (Copes, 2003). A qualitative study from Flores and James (2012) suggests they do, with one participant saying: ‘I know what I’m doing is wrong, but until there are more strict laws, I just don’t really think about it’ (p.8). Pirates know their behaviours are immoral, but don’t care. Observing unethical thinking amongst 98 per cent of their sample (even those who were labelled strong moral and ethical thinkers), Flores and James (2012) ultimately conclude that the relative anonymity of the internet is likely to facilitate self-serving behaviours online, including piracy, so it becomes important to make the wider implications of actions more salient. This may also reduce the neutralisation technique most prominently noted amongst the studies explored above – the denial of injury. Underneath all the fancy new business models are real changes in how we value music, behaving in less altruistic ways than before. This shift has been largely facilitated by the perceived anonymity of the internet, disinhibiting behaviours. Holt and Copes (2010) speculate that ‘as more deviant groups develop online communities, it is possible that involvement in deviant behavior may spread to larger populations of non-deviants’ (p.650). These changes are inherently psychological and, as such, only psychologists can readily research them using scientific methodologies, informed by theoretical lines of inquiry. Conventional deterrent approaches have largely centred on technological and legislative changes, with substantial evidence demonstrating that pirates adapt well to such changes. Sinha and Mandel (2008) observed that negative incentives (undesirable outcomes of piracy) are a strong deterrent for certain consumers but can actually increase the propensity to pirate for others. Conversely, positive incentives (such as improved functionality) were observed to significantly reduce the tendency to pirate amongst the entire sample studied. This highlights not only a potential root cause of the continued failure of conventional anti-piracy strategies, but that good alternatives to piracy are worth investing in and may prove the best anti-piracy strategy of all. While research suggests piracy itself may be immoral, this appears to be context-specific. Pirates are not otherwise immoral individuals. Most importantly, it doesn’t matter; at least not in terms of formulating anti-piracy strategies. In my view, they simply won’t work. As ever, more research is needed. Over 10 years of study on music piracy appears to have made very little impact in practical terms. More has to be done beyond the research itself to ensure its validity in the real world. Studies vary considerably in both their theoretical and methodological approaches where in terms of validity, more rigorous research methods must also be employed. A substantial volume of research on piracy involves non-empirical work using various forms of (economic) modelling and self-report methodology from student samples. I myself have created original scales to measure piracy attitudes (a predictor of engagement) – see Brown and MacDonald (in press). By not using the loaded word ‘piracy’ I can minimise social desirability. I have similarly conducted qualitative and ethnographic research, all in the hope of gaining accurate and reliable data on piracy. With a dearth of qualitative research on the topic, those studies which have employed such methodologies have been invaluable (Nuttall et al., 2011). Perceived as a victimless crime, pirates’ willingness to disclose their behaviours should be seized upon by researchers. Al-Rafee, S. & Rouibah, K. (2009). The fight against digital piracy: An experiment. Telematics and Informatics, 27, 283–292.Bandura, A. (1991). Social cognitive theory of moral thought and action. In W.M. Kurtines & J.L. Gewirtz (Eds.) Handbook of moral behaviour and development: Vol. 1. Theory (pp. 45–103). Hillsdale, NJ: Erlbaum. Batson, C.D., Thompson, E.R. & Chen, H. (2002). Moral hypocrisy. Journal of Personality and Social Psychology, 83(2), 330–339. Brown, S.C. & MacDonald, R.A.R. (in press). Predictive factors of music piracy. Musicae Scientae. Chiou, J., Huang, G. & Lee, H. (2005). The antecedents of music piracy attitudes and intentions. Journal of Business Ethics, 57(2), 161–174. Copes, H. (2003). Societal attachments, offending frequency, and techniques of neutralization. Deviant Behavior, 24(2), 101–127. d’Astous, A., Colbert, F. & Montpetit, D. (2005). Music piracy on the web. Journal of Consumer Policy, 28, 289–310. Flores, A. & James, C. (2012). Morality and ethics behind the screen. New Media Society. Gupta, P.B., Gould, S.J. & Pola, B. (2004). ‘To pirate or not to pirate’: A comparative study of the ethical versus other influences on the consumer’s software acquisition-mode decision. Journal of Business Ethics, 55, 255–274. Hinduja, S. (2012). General strain, self-control, and music piracy. International Journal of Cyber Criminology, 6(1), 951–967. Holt,T.J. & Copes, H. (2010). Transferring subcultural knowledge on-line: Practices and beliefs of persistent digital pirates. Deviant Behavior, 31(7), 625–654. Jacobs, R.S., Heuvelman, A., Tan, M. & Peters, O. (2012). Digital movie piracy. Computers in Human Behavior, 28, 958–967. Kini, R.B., Ramakrishna, H.V. & Vijayaraman, B.S. (2004). Shaping of moral intensity regarding software piracy. Journal of Business Ethics, 49(1), 91–104. Moore, R. & McMullan, E.C. (2009). Neutralizations and rationalizations of digital piracy. International Journal of Cyber Criminology, 3(1), 441–451. Nandedkar, A. & Midha, V. (2012). It won't happen to me: optimism bias in music piracy. Computers in Human Behavior, 28(1), 41–48. Nuttall, P., Arnold, S., Carless, L. et al. (2011). Understanding music consumption through a tribal lens. Journal of Retail and Consumer Services, 18, 152–159. Siponen, M., Vance, A. & Williams, R. (2012). New insights into the problem of software piracy. Information and Management, 49, 334–341. Sinha, R.K. & Mandel, N. (2008). Preventing Digital Music Piracy. Journal of Marketing, 72(1), 1-15. Sykes, G. & Matza, D. (1957). Techniques of neutralization: A theory of delinquency. American Sociological Review 22, 664–670. Taylor, S., Ishida, C. & Wallace, D. (2009). Intention to engage in digital piracy. Journal of Service Research, 11, 246–262. Wikstrom, P. (2011). The music industry. Cambridge: Polity Press. Yu, S. (2012). College students’ justification for digital piracy. Journal of Mixed Methods Research, 6, 364–378.